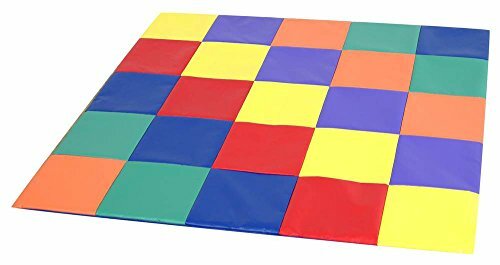 Childrens Factory Patchwork Crawly Mat by Children's Factory at Baby Bouncers & Swings. SKU: CF321-132. MPN: CF321-132. Hurry! Limited time offer. Offer valid only while supplies last. Toddler baby blocks 5.5 in. cube on top. Children can match the color of our block to the color of patch. GREENGUARD indoor air quality certified. Toddler baby blocks 5.5 in. cube on top. Children can match the color of our block to the color of patch. GREENGUARD indoor air quality certified. Warranty: Two years. Made in the USA. No assembly required. 57 in. L x 57 in. W x 1 in. H (7.3 lbs. ).